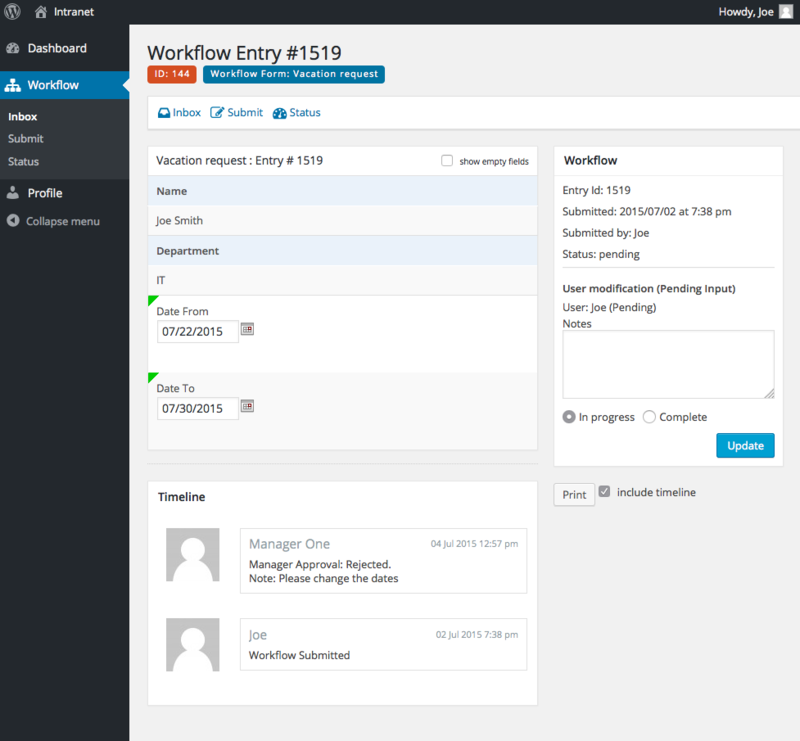 Gravity Flow is to provides a way for business process owners to implement their own workflow processes using simple drag and drop configuration. The purpose of this introduction is to give you a sense of how Gravity Flow works so you can start piecing together in your mind the different features you'll need to configure your workflow. The UI works perfectly in the dashboard but it also works equally well in the front-end pages of your site using the shortcode. This allows you to use your theme's styles and let external users participate in the workflows. Inbox: This is where users come to perform their pending tasks such as approval or input. Submit: A central place to publish all your workflow forms. Users select the form they'd like to submit. The administrator can decide which forms to publish on the submit page. Status: The repository for workflow entries. Entries can be filtered by id, form, date and status. Activity: A log of everything that happens and how long it took. 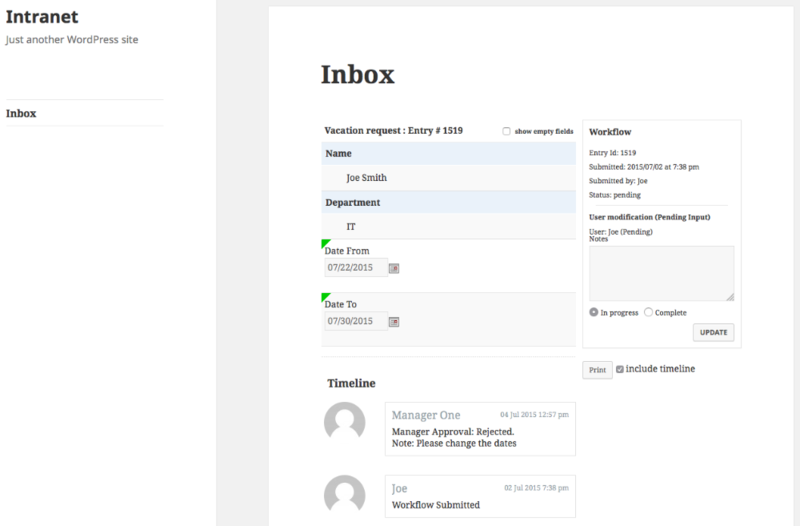 An example of the inbox with a couple of vacation requests pending approval. An example of the Status page with just one workflow entry. See the documentation on permissions to see how to give users access to these pages. You don't have to use this built-in admin UI if you don't want to. Each of these pages is available via a shortcode so you can use them in the front-end. See the documentation on the [gravityflow] shortcode for further details. Approval. Read more about configuring a simple approval process. User Input. See an example of a user input step. Notification. Sends any of the Gravity Forms notifications. Webhook. Sends data to other systems. You can add as many steps to your process as you like and use each step type as many times as you need. If you've had experience coding or designing your own workflows based around a status field you might find the transition to the paradigm of steps tricky at first. Gravity Flow handles the management of the status for you so you can concentrate on the flow of the process. PDF generator. Design your PDF using merge tags, generate it at the right moment and send it by email. Trigger workflows after a WooCommerce order is created. If your workflow requires a custom step then new Step extensions can be developed easily - see the Gravity Flow developer codex for technical details. Read the Vacation Request walkthrough for further details on how to implement this process. In some processes it's not possible to know who should be assigned to a step or an email until the moment the form is submitted. In these cases we have a couple of options. One way to do it is to let the user to decide exactly who should be assigned. The Assignee Field is a field that can be added to a Gravity Form which can be used to allow users choose from a list of roles and users. 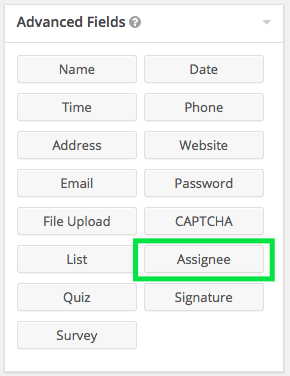 The Assignee Field can then be used in the configuration of the approval or user input steps. You can find the Assignee Field in the Advanced section of the Gravity Forms Form Editor. The Assignee Field can also be used as the destination for emails in some steps such as the approval and user input steps. Read the documentation on the Assignee Field for further details on how to implement it in your workflow. 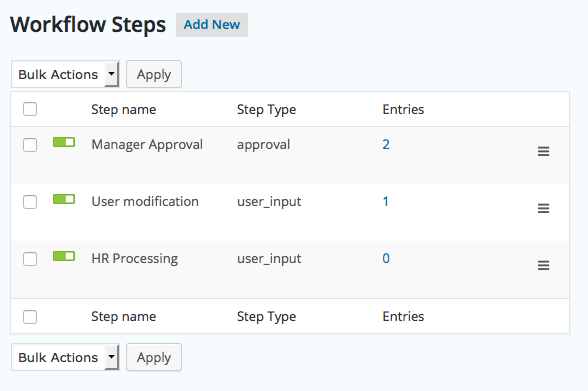 In this example, the step is assign to a different manager (WordPress user account) depending on the value of the Department field (Dropdown). a specific WordPress user account. a specific WordPress role. Note the email will be sent to all users in the role so take care to select the correct role. an email address entered in an email field. There are often many ways to implement the same workflow so once you're aware of each of the features you'll be able to get more creative with your solution. Take a look at the walk-through on vacation requests.